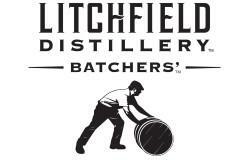 Nestled in the hills of northwest Connecticut, the Litchfield Distillery is Connecticut's newest micro-distillery. Our Batchers' series includes 11 handcrafted, premium spirits. Our mission is to produce exceptionally distilled spirits handcrafted from the highest quality, regionally harvested grains. Cheers!